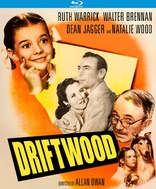 A druggist (Walter Brennan) and a doctor in love with a teacher (Ruth Warrick) adopt a Bible-quoting orphan girl (Natalie Wood) out West. Cinematography by the great John Alton (The Big Combo, The Crooked Way). NEW MASTER.